Guidelines for understanding DO-160, Section 22, and information to assist with the development of a verification and compliance plan to determine the effects of lightning on aircraft systems. Lightning presents a frequent and inevitable risk to commercial and military aircraft. All electronic or electrical systems in an aircraft must go through a rigorous process to determine if any lightning induced failure may create a risk to the aircraft. 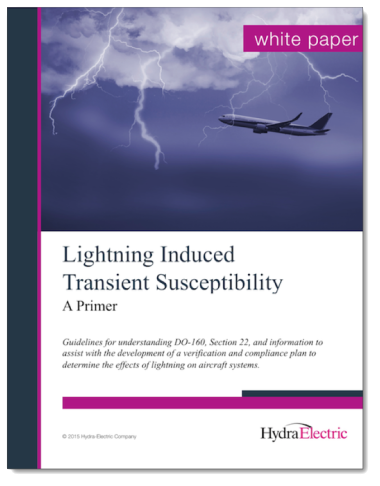 The most widely referenced test specification in the military and aerospace industries for determining “Lightning Induced Transient Susceptibility” is RTCA DO-160, Section 22. Understanding the different waveform sets and certification levels is critical to planning how systems will undergo testing in efforts to meet compliance.